At its best, the new Vivaldi browser is a breath of fresh air. 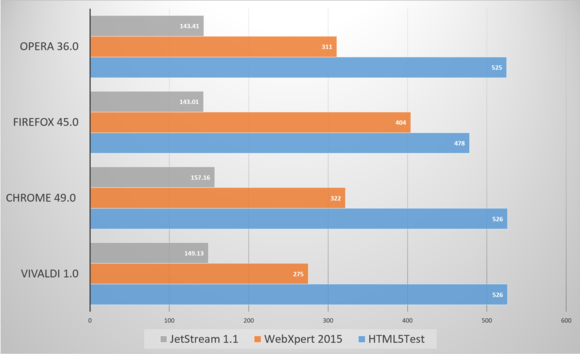 There’s a new challenger in the world of web browsers. Vivaldi, a new browser from a number of Opera expatriates, rethinks several conventions in a way that’s worth your time. Under the hood, however, it still needs a bit of spit and polish to bring it up to snuff with its competition. Late last year, we characterized Vivaldi’s beta version as a layer of Opera’s Internet browser on top of Chrome, and that metaphor still holds true. The visual design of Vivaldi looks very similar to Opera—down to the “Speed Dial” new-tab interface—though underneath the browser is based on open-source Chromium technology. It’s available for Windows, Mac OS, and Linux. Load a page, and a progress bar shows you how large the Web page is, and how many elements it contains. As of today, Vivaldi has moved out of technical preview to a full-fledged 1.0 release, so we can justify holding its feet to the fire. Vivaldi loses points for being just a little bit on the slow side, with CPU usage that seems a bit excessive once you start using it with 20 or more tabs open at once. What I think you’ll appreciate most about Vivaldi, though, is simply how much thought went into the browser—including how easy it was to switch to it. Downloading and setting up Vivaldi takes just a minute or so, and its bookmark importing capabilities do an excellent job of preserving your existing configuration. So many of Vivaldi’s features seem delightfully clever once you start using them, like tab stacking, which allows you to create a group of tabs simply by dropping one on top of the other. You can then display all of those stacked tabs onscreen in a Windows 10 Snap-like arrangement—and those handy touches are just the beginning. Even the brief setup procedure encourages you to think about moving your list of tabs and URL bar to different locations on the screen. I’m not wholly in love with Vivaldi’s visual aesthetic: for some reason, Opera, Vivaldi, and Microsoft’s Edge designers all seem smitten with bare, brutalist icons chiseled into a concrete gray background. But if that’s not your thing, you can banish those icons to the side or bottom of your browser during the setup process. Maybe you’d prefer a vertical column of tabs stacked to the right side of your window? Vivaldi makes no judgments. Vivaldi fresh tabs maintain the cheery Speed Dial page of Opera’s browser: on it, you can pick your background, and arrange a few of your favorite icons. (Edge, to its credit, fills the white space with news and information.) Hover over an open tab and it automatically displays a small preview. And though tabs tend to wriggle away over time as you open more, you can drop one tab on top of another to stack them, a nice way to create groups and subgroups of tabs without needing to scroll back and forth or create another window. There’s not really a clear delineation between one browser and the next, but this four-screen layout is rather useful. Within Vivaldi there’s private browsing, although you’ll need to find it in File > Settings. Once you have a series of tabs in place, you can save them as a “session”. If you load that session, though, those tabs to sort of just drop in on top of everything else, which was a bit disconcerting. Closed tabs move to the “trash” icon in the upper right corner. Two other features tucked into the side rail demand exploration. I’m not that impressed with “Notes,” which allows you to save a snippet of text, the page it originated from, and an image or two. Notes slowed my browser to an absolute crawl. Bookmarks and downloads also appear here. 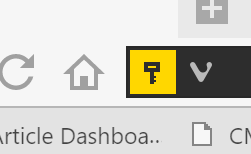 Vivaldi’s new “web panels” are excellent, though. A Vivaldi Web panel is a small sidebar that you can use for any number of things. A web panel is a small vertical sidebar you can configure as just a strip of a webpage: Reuters headlines, for example, or a Twitter feed. Vivaldi cleverly asks for the mobile version of the page, so that you’ll see content optimized for small spaces. A home button at the top serves to refresh the page, though I hope in the future it will act more like an RSS feed and periodically refresh. Web panels, though, smartly recognize that Web pages still tend to the vertical, and uses that extra real estate on a widescreen monitor to best effect. At least in the default orientation, all of the productivity features within Vivaldi are tucked away at the top of the browser. The fun stuff hides near the bottom. Look for the tiny page tiling icon to the lower right; next to it sit some intriguing “page actions,” indicated by the “<>” icon. Here, you’ll find a grab bag of tweaks ranging from the practical to the merely whimsical: options to change the background color (sepia, a dark theme), a tweak to literally, photographically unfocus elements of the screen that you’re not interacting with, and the ability to even turn the browser into a faux 3D object. Dude! The Web page is like, rotating! 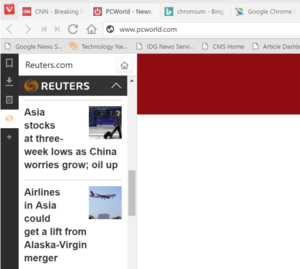 Finally, there’s a “content blocker,” which a Vivaldi spokesman tells me acts somewhat like an ad blocker: it “automatically hides certain elements and iframes, typically with standard ad sizes”. But it doesn’t block ads; it merely doesn’t show them to you. Supposedly, anyway. It didn’t seem to have much effect on the pages I browsed. There’s even a wealth of keyboard shortcuts and even mouse gestures. If you like to fiddle, Vivaldi’s settings menus are a joy to explore, with fine-grained options that dive down into such minutae as toolbar focus cycling. The Chrome plugins you know and love are accessible via the Chrome store, for Vivaldi. 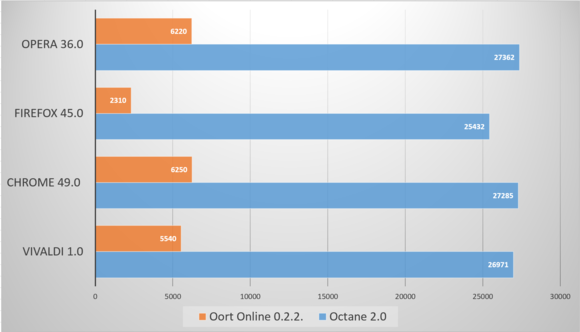 A little less than a year ago, our feature on the best browsers of 2015 confirmed that Google’s Chrome, while among the more resource-intensive browsers available, was one of the best. So does layering an Opera-like interface on top of the Chromium technology offer a better solution? My answer after benchmark testing is: not yet. I also ran several benchmarks, the same as I ran in our earlier roundups. (Since each browser has iterated several times since then, however, I couldn’t rely on the earlier numbers.) As you can see, Vivaldi’s performance was essentially in the upper echelons of the other browsers, though with nothing in the way of standout performance. The third test, HTML5test, simply measures how compatible the browsers are to the HTML5 standards. Most of the browsers handled each benchmark with aplomb, though Firefox really doesn’t like the Oort rendering test. Vivaldi’s memory and CPU utilization, though, really muddies the waters. Granted, I was testing live sites, with the opportunity for those sites to vary their content. I chose 20 mass-media Web sites from PCWorld to CNN to Politico. CPU utilization is where we begin to see some separation. As the numbers indicate, Vivaldi does well on small numbers of tabs, but as it scales up something goes a bit haywire. 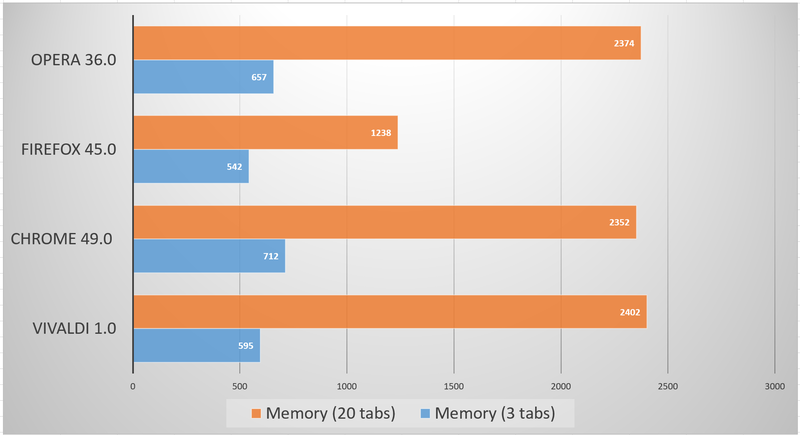 As before, I loaded three tabs, then the full coterie of 20, measuring how much memory and CPU cycles each browser consumed after 30 seconds had passed since I loaded the last tab. The idea was to allow each browser to “settle down” after many of the modules loaded. Here, though, Firefox still demonstrates a clear advantage in memory usage. 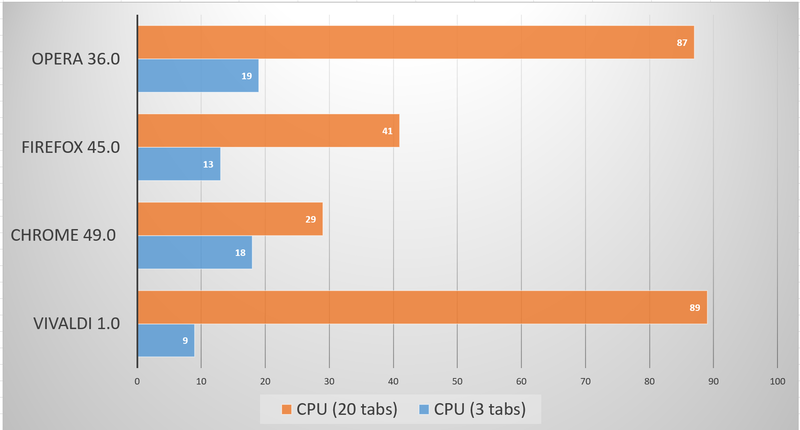 I can tell you that though some of the other browsers demonstrated fairly consistent results, Vivaldi’s varied dramatically, at least on CPU consumption across 20 tabs. Given the relatively immature state of Vivaldi’s code, I’m going to assume that this will stabilize over time. Right now I don’t quite see the “snap” I expect when loading a page under Vivaldi, but I haven’t found any red flags, either. 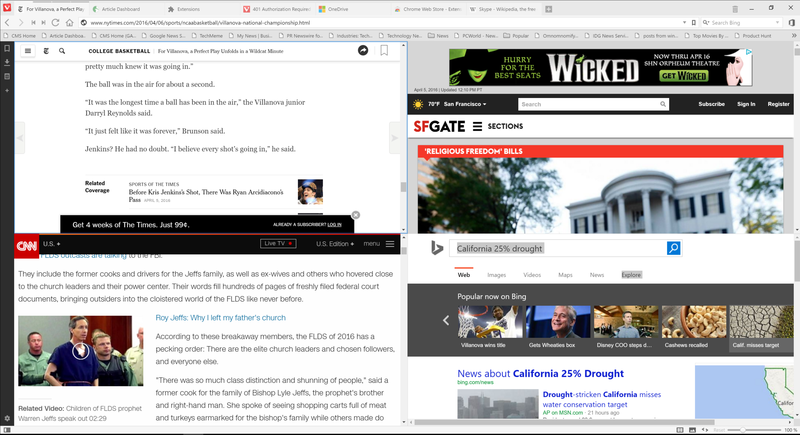 At this point, Vivaldi is a good—though not great—browser. I do admire the configurability Opera’s team has injected into Vivaldi, however, and I find its web panel compelling. Nail down the latent performance issues, Vivaldi, and I might have found my new browser. 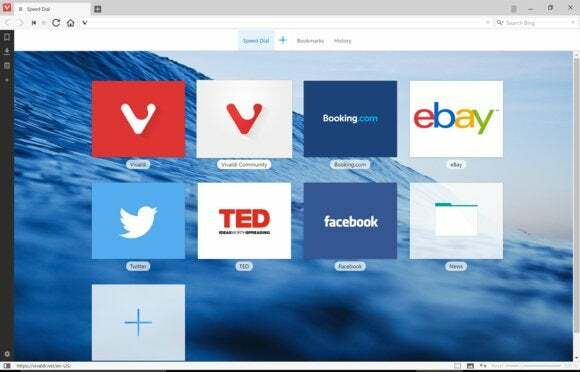 Vivaldi's free, eponymous browser offers a degree of flexibility and new features which makes it quite attractive as a browser option.